Shortly after our arrival on foot, an armada of canoes from the North Brooklyn Boating Club arrived, reinforcing our efforts and providing naval support. From our location at the Plan Road site, the wind was coming down the creek putting us downwind of our proposed mapping area. This made flying either a kite or a balloon from land impossible. We therefore decided to use the balloon with the canoes. We quickly began to prepare the camera rig and helium balloon for flight. Given the windy conditions, we wanted to put as much helium in the balloon as possible to give us maximum lift despite the strong winds. Due to the cool weather, the helium condensed in the balloon as we were able to fill the balloon with all 80cf of helium. I repeat, we put all 80cf of helium into the balloon. (I did not know that was possible). Once we got the balloon into the canoes, the skilled paddle-men (and paddle-women), navigated upstream against the wind in order to allow the balloon to sail with the wind down the creek. The was an extremely challenge moment, paddling against the current and against the wind, all with a 6ft helium balloon dragging in the wind. Kudos to the seamen!!! Arriving at out proposed destination, we launched the balloon as high as we could. Given the strong winds, it was incredible difficult to hold on to the balloon. The balloon and camera were bouncing around the entire time. 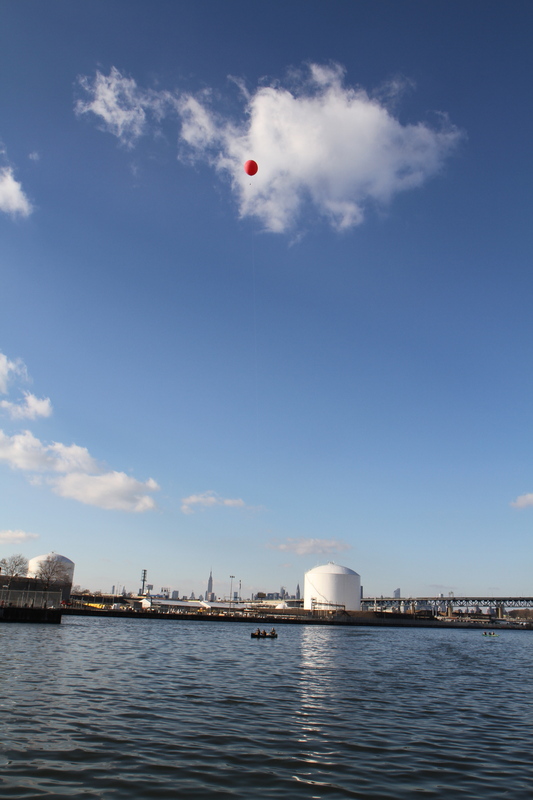 Finally, after about 20mins of flight, we were nearing a bridge and decided to bring the balloon back in. This was no easy task and the balloon nearly entered the water several times. The threat of losing our camera rig was very real. Fortunately, with support from a second canoe, we were able to safely bring in the balloon without losing the camera or capsizing the canoes. Unfortunately, during take-off, the camera slipped in the housing and began to take images of the container. 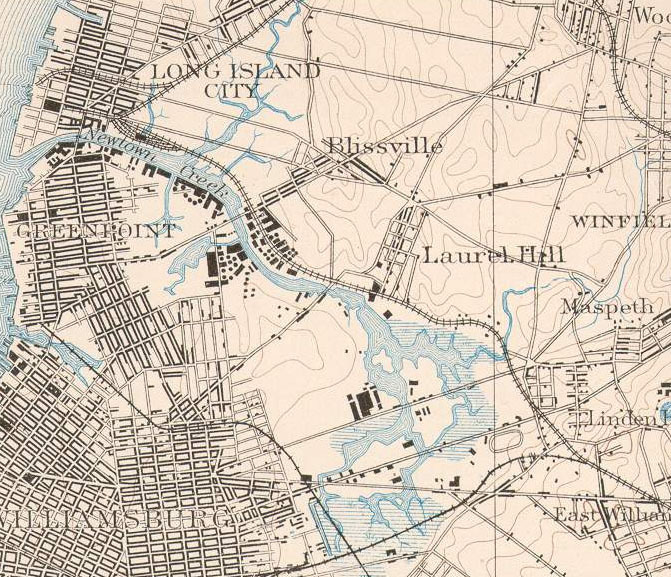 This left the majority of the photos useless to make any type of map. Note: The has been the second time a camera has slipped in the housing. Experimenting needs to take place to resolve this issue. 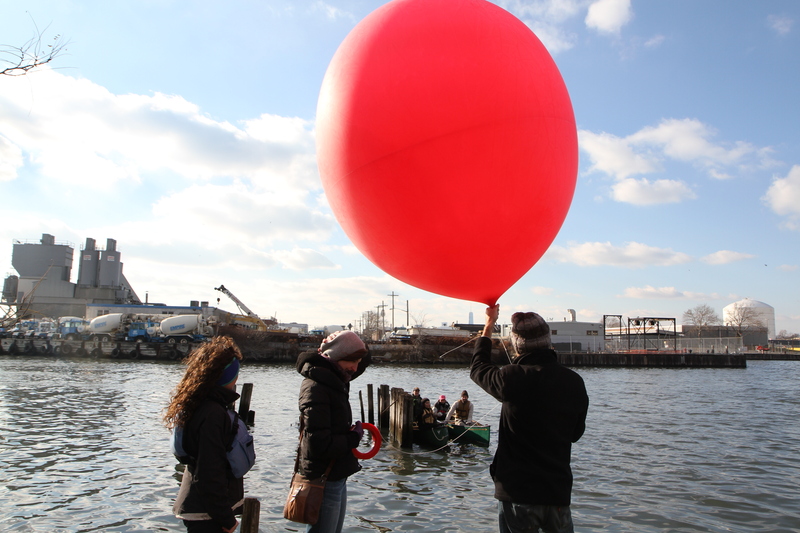 Special thanks to the North Brooklyn Boating Club, Cosmo from the GovLab, Eli from World Science Festival, Liz Barry and Cristina Tortalla. 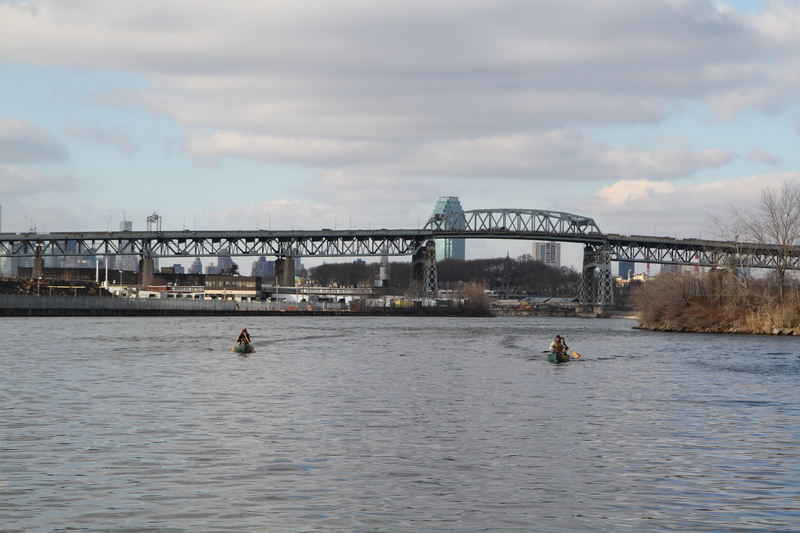 Newtown Creek is on of the most polluted waterways in the country and is the location of one of the largest oil spills in US history, leaking between 17 to 30million gallons of oil and petroleum products into the creek. 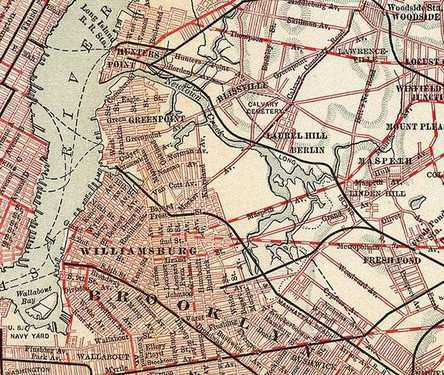 As early as the 1800's, the creek was used as an industrial waterway and as an easily accessible port and canal between Williamsburg and Queens. In the 1900's, the creek was one of the busiest industrial port on the east coast housing numerous chemical plants, fertilizers factories and oil refineries. Currently, Newtown Creek is being deemed a superfund site by the Environmental Protection Agency providing federal funds to help clean and restore the creek. 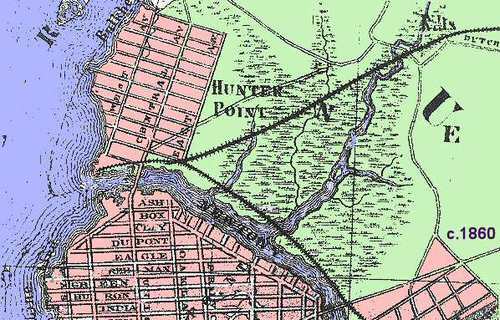 Part two of the Public Mapping Mission online course will be dedicated to mapping parts of Newtown Creek on Saturday, Dec 7th starting in the afternoon. 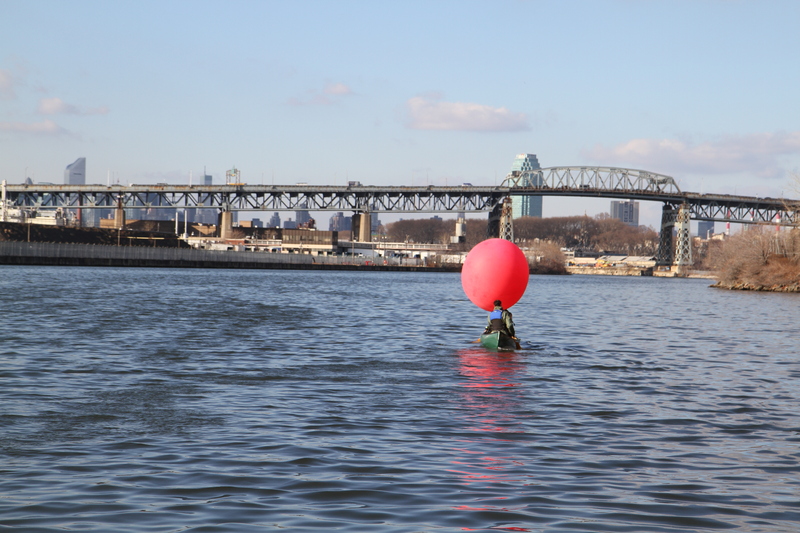 This event will begin at 11am with an online overview of balloon/kite mapping and then will move into the real world by mapping Newtown Creek. Following the mapping, we will return to the online course to share our experience and results. For those interested in participating, sign up here. The Public Mapping Mission online course is a collaboration between various organizations in an effort to promote citizen science and public participation in local environmental issues. The course launched on Nov 22nd. with an online overview of current citizen activities and techniques being used to address local problems. The Newtown Creek mapping will be a followup and final event in the course. Great report. There is obviously lots of skill at work to push the limits of the form. That's too bad about the camera shift. If all the photos are similar to the one you included above, you might have enough coverage for a map. A program like Lightroom or Bridge (with Photoshop) will batch crop a folder full of photos. 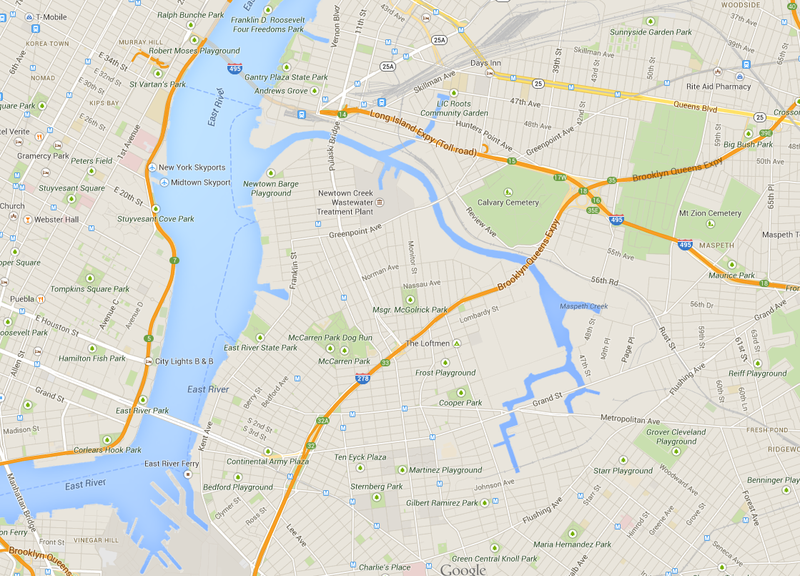 Or just make a map in Photoshop and manually mask out the housing in each photo. That way you lose less of each photo. You need to prevent camera slips into housing and use hermetic glass container for camera, in case of wet weather or working above river. Hi, @nicholas!!! We featured this story in today's blog post and Kickstarter update - thanks! !